We’re here for when it isn’t Business as Usual – Company Administrations, Company Voluntary Arrangements, Liquidations. Individual Voluntary Arrangements and Bankruptcies. Antony Batty & Company LLP is a firm of Licensed Insolvency Practitioners founded in 1997. We trade from offices in Gray’s Inn, Central London, within walking distance of Chancery Lane tube station. With a regional office in Essex, and satellite offices in The Cotswolds and Salisbury, our work is undertaken for clients from across the UK, as well as internationally. We specialise in helping businesses and individuals who are facing insolvency when they are finding that it “isn’t business as usual”. We do this by using our experience and expertise to give the best possible insolvency and restructuring advice. Since our formation we have successfully helped businesses and individuals in over 1,750 corporate and personal insolvency cases. Click here to see some testimonials and case studies of our work. Antony Batty & Company has four Licensed Insolvency Practitioners, who have over 100 years of combined experience of corporate and individual insolvency. Our team of expert insolvency case workers supports them, and together they give the best possible insolvency advice and support. We know that once insolvency threatens our help and advice is needed very quickly. One of our insolvency practitioners is always available at very short notice, therefore, to see directors or individuals with financial problems who need our help urgently. In these cases, speed is important. We offer an initial confidential meeting FREE of charge. 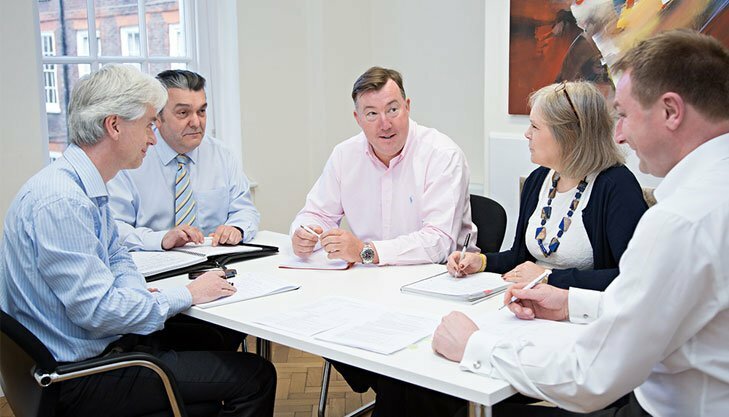 We aim to treat all directors, employees, creditors and individuals with courtesy and respect. Calls are always answered by an experienced case administrator. This ensures that we give our clients the best service possible, especially when seeking to avoid a formal insolvency. By working closely with Beer & Young and www.cashflowfinance.co.uk we are able to introduce turnaround and re-financing solutions to companies experiencing cash flow difficulties. We also have strong links with a number of City Corporate Finance Houses willing to fund turnarounds. The sooner you get in touch, the more we can do to help. The Antony Batty Team contains an unrivalled depth of skill and experience in its areas of specialism. This is trusted and appreciated by our clients. We are results driven, and we believe that our professional and committed approach to solving our clients’ problems sets us apart from the crowd. Click here to find out more about our team of Insolvency Practitioners and Case Administrators.